liba is using Smore newsletters to spread the word online. 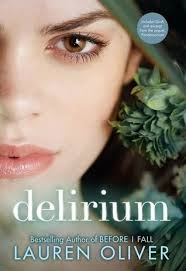 The story is about a 18 year old girl named Lena. she lives in Portland, Origin in the United States. Lena lives in a world where people think love is a dieses and when you turn 18 you have to get a shot so you don't get the dieses. There are also people that think this is wrong and they should have love, they are called wilds. Lena at first didn't believe in the whole love thing but this one amazing mistake that her best friend Hanna made her find her one true love Alex. Now they are trying to hide from anybody finding them and trying to keep there love going. 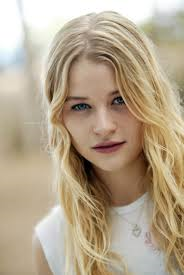 I choose Emilie De Ravin to be Lena because, in the book she was really shy and she didn't want to be seen around that many people and the same thing with Emilie. When she first came into the acting biasness she was really shy but then after words she got comfortable around people. I choose Ansel Elgort to be Alex because, Alex is very sweet and nice he his willing to do anything to keep his relationship going with Lena. In all of the movies Ansel has been in he had all those traits also he has all those traits in real life. I choose Jennifer Morrison to be Hanna because, in the book Hanna is really fearless she doesn't like listening to people also she is very adventurous. Jennifer Morrison is also all of those character traits. I choose this song because this song relates to Alex and Lena's feelings about each other. So at the beginning nobody really knew about them but they wanted people to know how they feel about each other because people where they live think love is a disses and don't want to fall in love. so in the first line of the song they say "people say we shouldn't be together" and that relates to people in the book because they all say that love is bad and you shouldn't fall in love. Then another line is "they don't know about us" and in the book no one knew about the love between Alex and Lena. so basically the whole song is about how they want to let people know about their love and that's like Lena and Alex.